Supplying the Ottawa area with gasoline, racing fuel, and lubricants for all your vehicle needs. At Drummond's Gas we always provide high-quality fuel and oil lubricants. Stop by at our warehouse right behind our head office for all VP Racing fuel, methanol, Shell & Pennzoil oil. 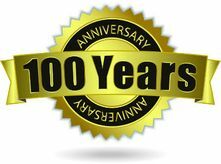 We are celebrating our 100th year supplying the Ottawa area with fuel. Our retail gas bars are located on Bronson ave, Merivale road, Highway 31, Manotick, Richmond, Smiths Falls, Merrickville, and Spencerville. Our family-operated business will be 100 years strong in 2019! Come visit us in Smiths Falls for a car wash! Come by for a cup of Joe!